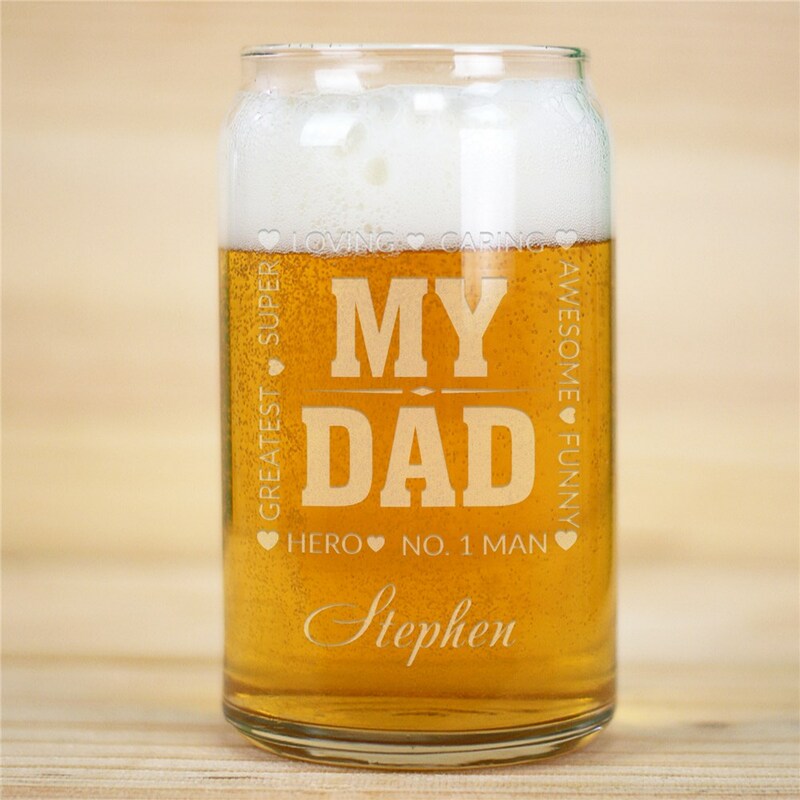 Give him a glass to show off that he's your hero with this Engraved My Hero Beer Can Glass. We will customize your Personalized Barware Gifts with any name. These custom glasses make for great bar gifts for Dad! Everyone really liked the glass, it is unique and personable. Great conversation piece!